Card Text: 3: Put target card from a graveyard on the bottom of its owner's library. Oracle Text: 3: Put target card from a graveyard on the bottom of its owner's library. 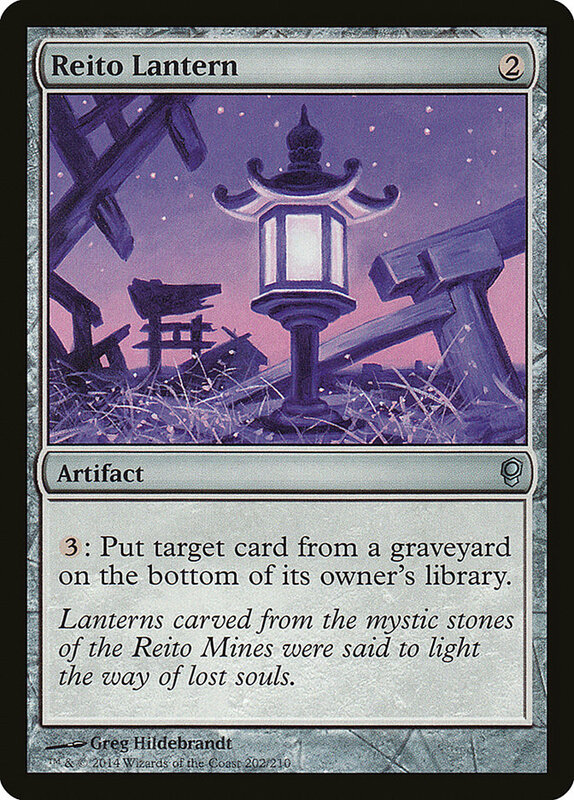 Flavor Text: Lanterns carved from the mystic stones of the Reito Mines were said to light the way of lost souls.